Available on the iOS App Store - Get it now! 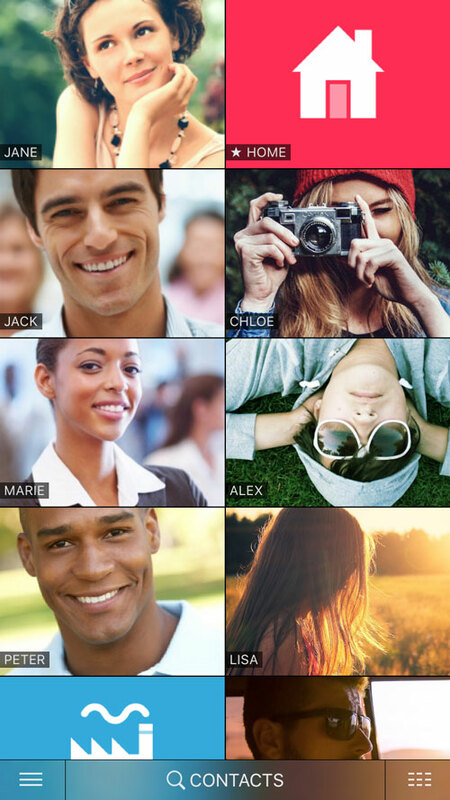 phonetrait provides a fast and easy way to keep in contact with all your friends. A smart automatic sorting guarantees the quickest access to the people most important and relevant for you right now. phonetrait presents you the people most important and relevant for you right now, directly when opening the app. phonetrait combines information from the same person from different networks into one comprehensible view. Find all numbers, mail addresses, websites, notes, addresses and photos within phonetrait. Thanks to direct access to the iOS contacts phonetrait is always in sync with your phone's contacts. or subscribe to our mailing list to hear about new features first. No Spam! Less than one mail per quarter. stonewall. block calls, contacts and groups. Phonetrait offers a quicker way for you to get in touch with the people who matter most to you. Phonetrait is a contact book that sorts contacts by how often and how recently they have been contacted. 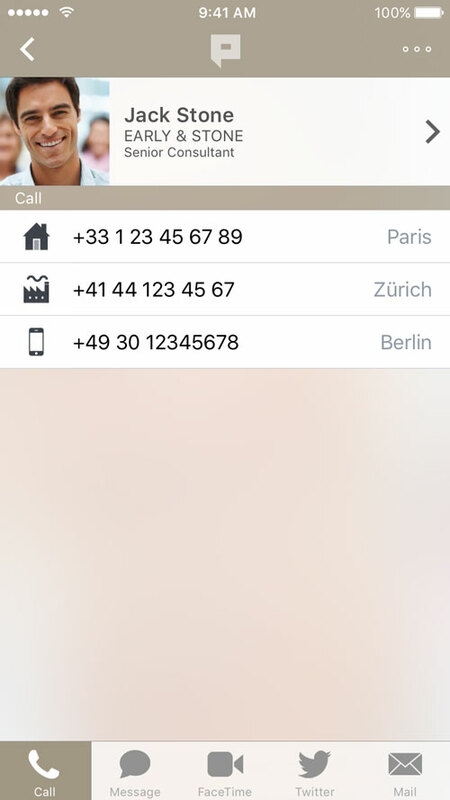 Intuitive iPhone address book to die for. Eine elegante Alternative zu einer der elementarsten iPhone-Funktionen. Alternatives Adressbuch fürs iPhone mit intelligenter Schnellwahl. phonetrait automatically figures out who your top contacts are. With frequently used contacts only a few touches away, you know you are never far from the people that matter most in your life. Idee und Umsetzung wissen zu gefallen. 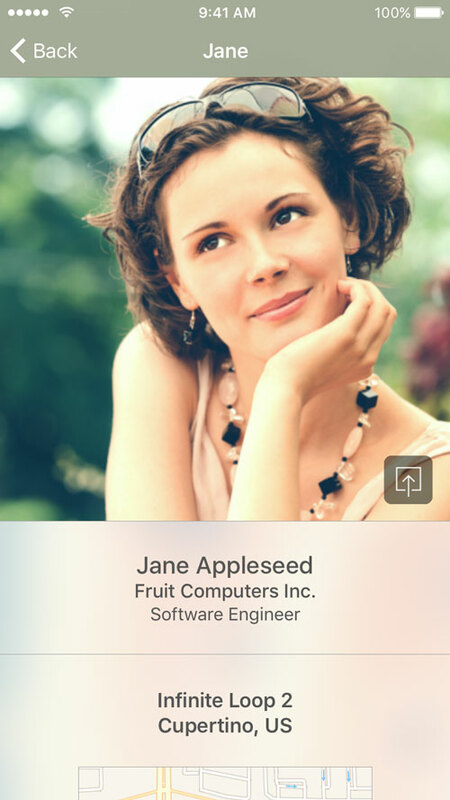 L'application phonetrait ou ce qu'aurait du faire Apple pour son application Téléphone. Man mano che userete phonetrait, organizzerete in modo intelligente tutti i contatti più utilizzati durante le vostre giornate. What stands out about phonetrait, is just how easy it is to use. phonetrait macht das Adressbuch schick und übersichtlich. © 2011–2018 Paul Steinhilber, All rights reserved. Privacy. Imprint. Made with ❤ in Heidelberg, DE.